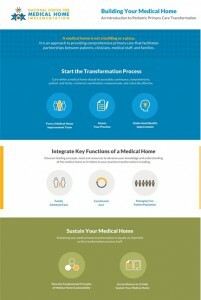 Have you heard the term “Medical Home”, but aren’t really sure what it means, or why it is important? You are not alone! In surveys conducted by NH Family Voices, people frequently report being unsure what the term means. 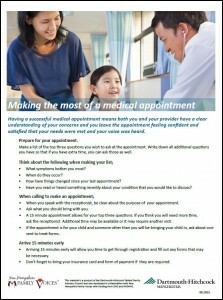 In a Medical Home all medical records are held by the primary physician and care is provided with a ‘whole patient’ approach. 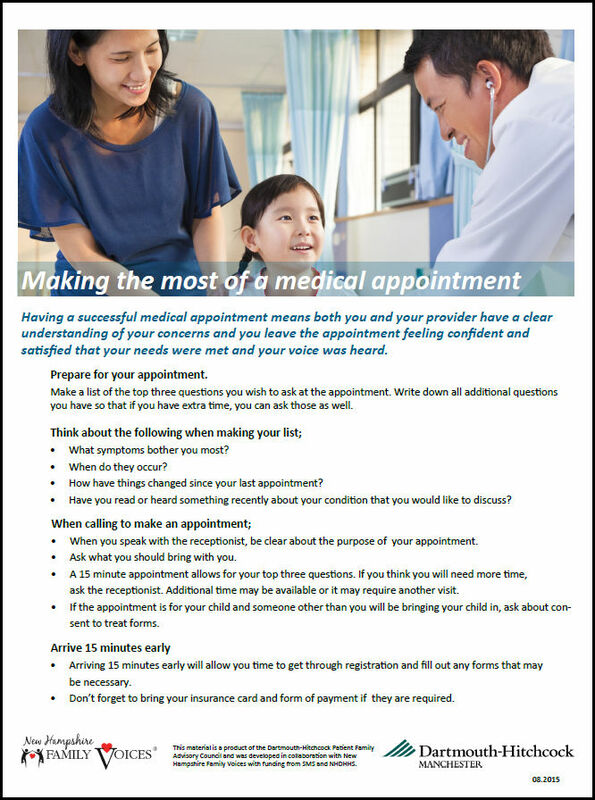 A patient may see multiple specialists who focus on specific health issues and the primary doctor looks at all of these issues and helps the patient with their overall health and well-being. 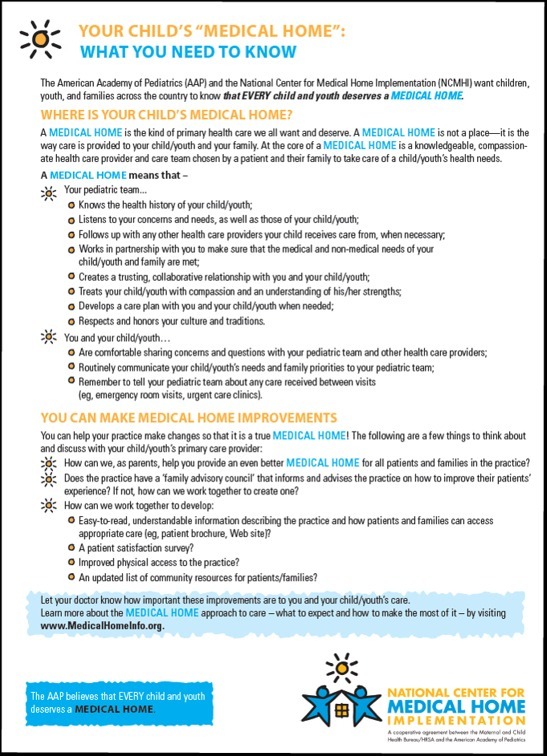 In order for a Medical Home to meet the needs of patients and families, it requires the active involvement of patients and families. 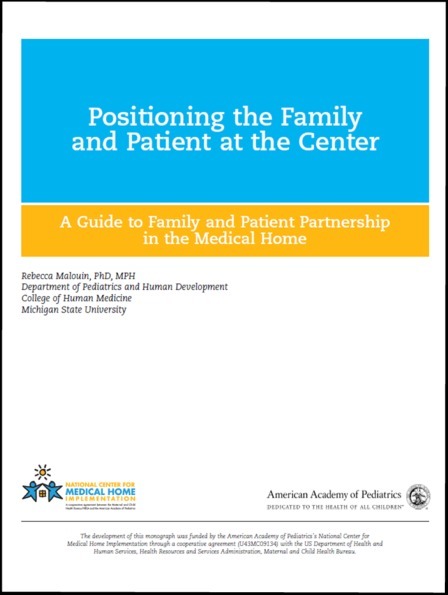 Key to this model is the sense of partnership between patients, families and providers. A sense of partnership improves care, not only for individual patients and families, but also for the health care system as a whole. 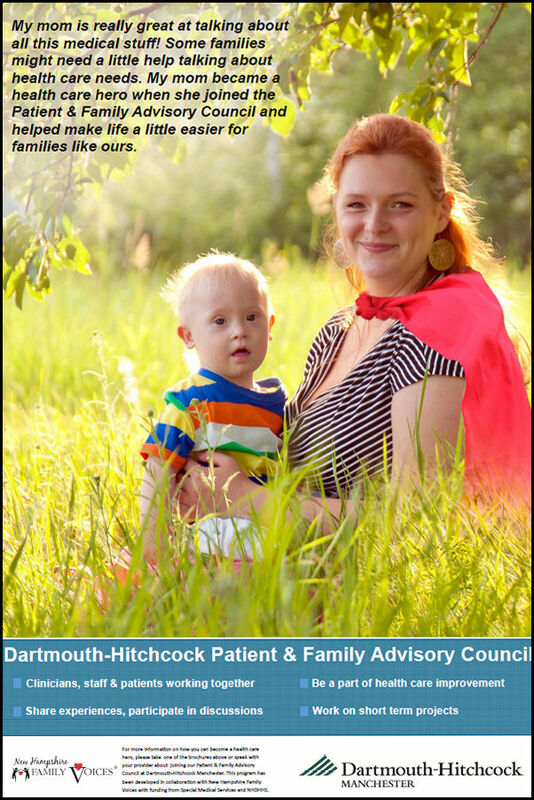 In the spirit of advancing partnerships, NH Family Voices has been working to support the development of patient family advisory councils. Through this project, NH Family Voices staff works closely with a primary care practice to develop and launch their council, providing guidance in the creation of policies for the council, conducting outreach, and new member orientation. We recently completed our work with Dartmouth-Hitchcock Manchester. Dartmouth-Hitchcock Manchester has a Patient Family Advisory Committee, comprised of parents of pediatric patients, adult patients and staff members, working closely together to identify opportunities to improve care, review processes, and develop materials for other patients. 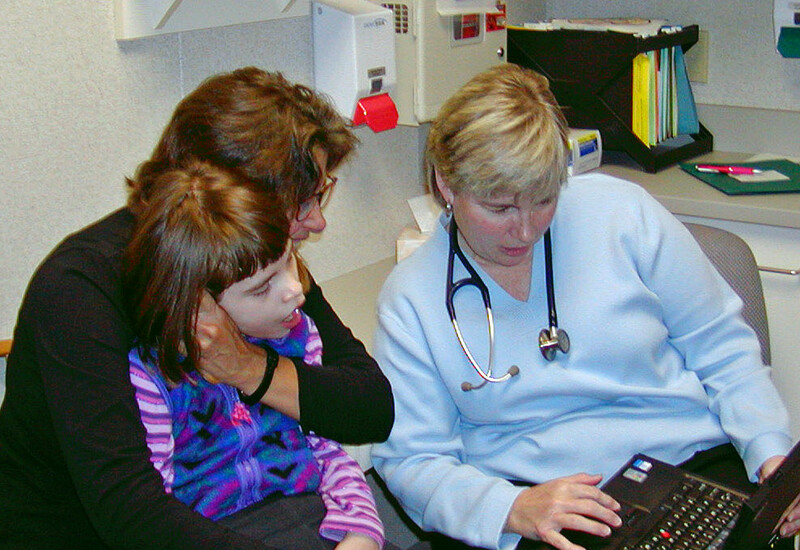 NH Family Voices is deeply committed to the of Medical Home model, recognizing the value a true Medical Home provides in supporting the needs of patients and families. As such, in addition to supporting practices to engage families as advisors, NH Family Voices conducts training’s and develops additional awareness materials as part of this project. In addition to the work focused on awareness, education and the development of Patient Family Advisory Councils, NH Family Voices is developing a registry of primary care practices that have participated in Medical Home improvement activities. 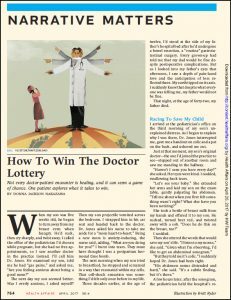 “When you win The Doctor Lottery, there is no cash prize but a far greater payoff: the possibility of extraordinary healing, even a miracle. Our son survived because our physician took the time to listen, show compassion, earn trust, partner with us, advocate, and provide just the right amount of care to save a life. 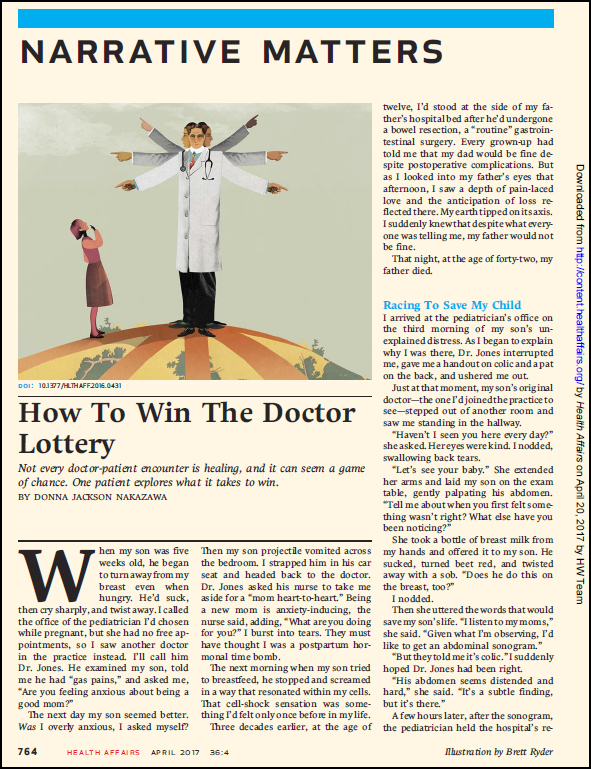 She fostered a safe and healing patient-doctor relationship, while navigating us through a sea of uncertainty” (Nakazawa 2017). 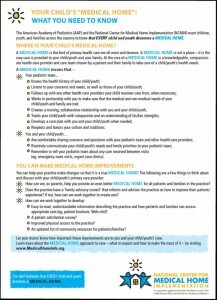 How Do I create a Medical Home for my child with special healthcare needs?